Retired Justice Bill Cunningham, up and down the stairs: Sue Ellen Morris, Allison Whitledge, Rebecca Biehslich, Melanie Kelley, Jim Paitsel, Judge Shea Nickell, Rick Major, Judge Hunter Whitesell, Tom Bugg, Judge Tim Langford, Dennis Lortie of the bar. Flooding closed roads in Fulton County and eight others in the Purchase. The weather system caused over $41 million in damages statewide. Nine counties in the Purchase are among those in the request. Follow the jump for the full list. YE GADS! 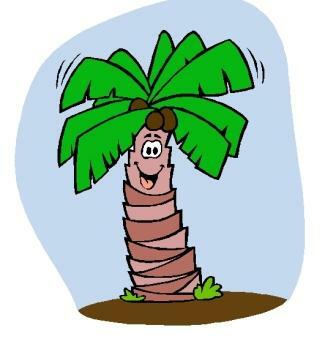 PALM TREES ON THE MARCH???? The USDA highlights their web ability to provide data by zip code and refinements which take into account more weather controlling elements such as mountains and bodies of water. This should allow more precision in plant hardiness decisions. Seth Borenstein of the Associated Press points to zone changes indicative of global warming whereas USDA denies the soundness of using temperature lows as a predictor of change. He points out that "nearly entire states, such as Ohio, Nebraska, and Texas are in warmer zones." 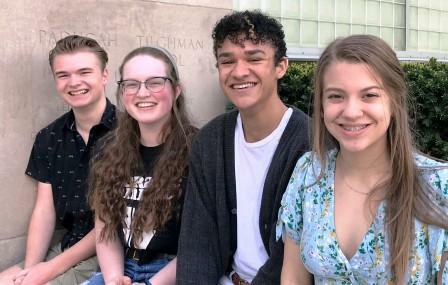 Tilghman juniors Katherine Peck and Mark Taylor and sophomores Jenna Price and Mason Romanak have been selected as participants for the 2019 Kentucky Governor's School for the Arts (GSA) program. FRANKFORT, Ky. (April 22, 2019) - Gov. Matt Bevin today recognized the sacrifice of a Kentucky soldier who died in Iraq while supporting Operation Inherent Resolve. According to the Department of Defense, Spc. 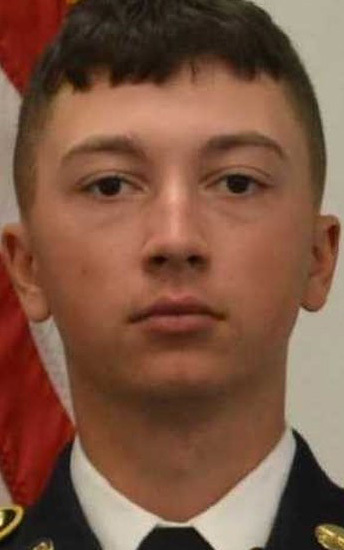 Ryan Dennis Orin Riley, 22, of Richmond, Kentucky, died April 20 in Ninawa Province, Iraq, in a non-combat-related incident. The incident is under investigation. 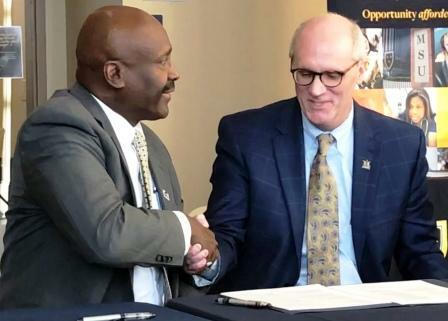 (Murray KY April 6, 2019) - Candidate Adam Edelen was on Murray State's campus this sunny Saturday afternoon for a "Politics and Pizza" campaign stop. Stacked boxes of pizza and bottled water greeted those who came out to hear Edelen in Faculty Hall on the MSU campus. The crowd was divided along age lines with a third college students, a third out of school adults and a third retirees. Edelen knew several there, greeting them by name and working them into his remarks. 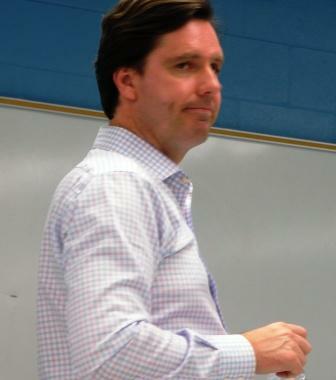 Speaking without notes, Edelen spoke for twenty five minutes on issues dear to the hearts of progressives, students and environmental activists. Then he took lots of questions from those in attendance. 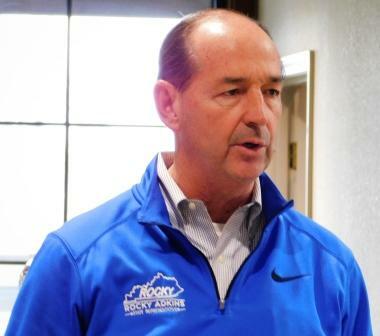 Rep. Rocky Adkins in Paducah on April 1, 2019. It should come as no surprise that the top of the tickets will get the most attention. With an incumbent in the governor's office, this election will be in large part a critique of Governor Matt Bevin's leadership. 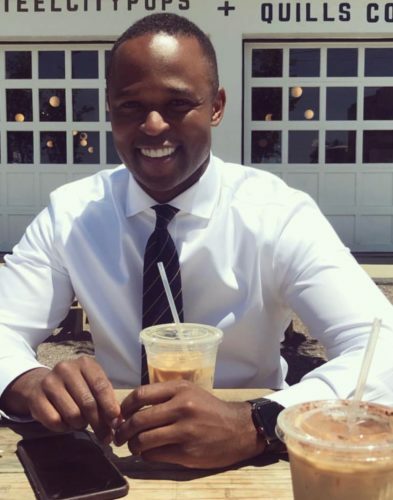 Former McConnell lawyer, Daniel Cameron, is running for AG. 2019 is a year for candidates with great name recognition and/or big families. Turnout will be key. In the race for attorney general, incumbent Andy Beshear is running for governor. That leaves an open seat. Three candidates are vying for the job. Former Miss America Heather French Henry one of eight candidates for secretary of state. 2019 is an unusual election year in Kentucky. In the race for secretary of state, incumbent Alison Lundergan Grimes, is not running. That leaves an open seat. Eight candidates are vying to become the next Kentucky Secretary of State. Auditor Mike Harmon is running for a second term. 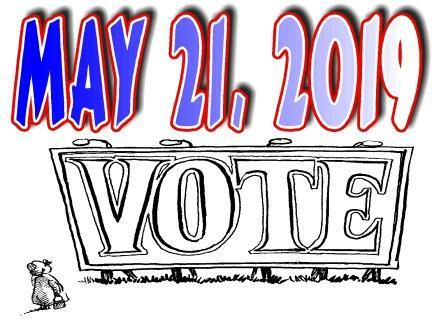 2019 is an unusual election year in Kentucky...No local races that bring out friends and families of candidates. In the race for auditor, incumbent Mike Harmon is running for a second term. He's the only candidate on the Republican side. 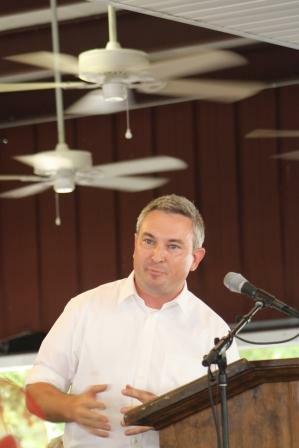 Commissioner of Agriculture Ryan Quarles is seeking a second term. 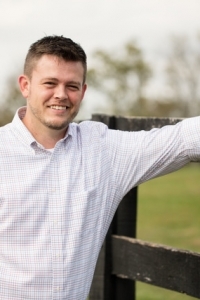 In the 2019 race for commissioner of agriculture, incumbent Ryan Quarles is running for a second term. He's drawn a challenger in Bill Polyniak on the Republican side. On the Democratic side, there are two candidates: Robert Haley Conway and Joe Trigg. Josh Mers is one of two Dem challengers to incumbent Treasurer Ball. Treasurer's race will pit incumbent Allison Ball against one of two Dem challengers. 2019 is a year for candidates with great name recognition and/or big families. It's a year with guaranteed low voter turnout. 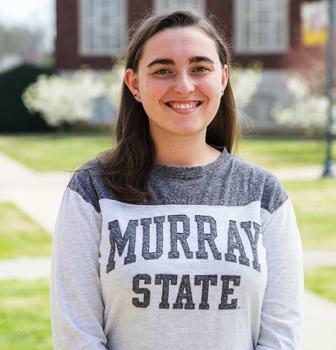 In the race for treasurer, incumbent Allison Ball is running for a second term. She's the only candidate on the Republican side. On the Democratic side, there are two candidates: Michael Bowman and Josh Mers. 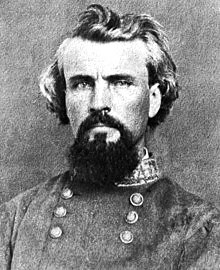 The program is a presentation of the Jackson Purchase Historical Society. UNION CITY, TENN. - The world's most famous skyscrapers engineered and built out of LEGO bricks are now on display at Discovery Park of America (DPA) in Union City, Tenn. All the way from Melbourne, Australia, "Towers of Tomorrow with LEGO Bricks," has arrived in this small Northwest, Tenn. town, and it is only the third time this exhibit has been on display in the United States. 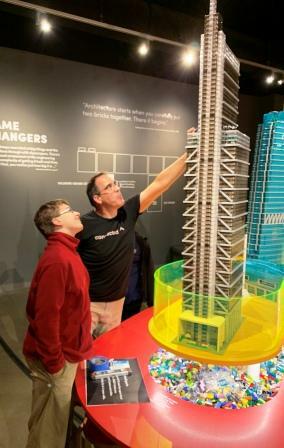 "Towers of Tomorrow with LEGO Bricks" will be on display at DPA through May 5, 2019. The cost to see the exhibit is $4.95 with park admission. Meet the husband and wife team responsible for West Kentucky Journal. Editor's Note: Updated - Ivan Potter retired from the Clinton City Council as of January 1, 2017. WKJ now has over 6000 articles and 2.5 million yearly views.